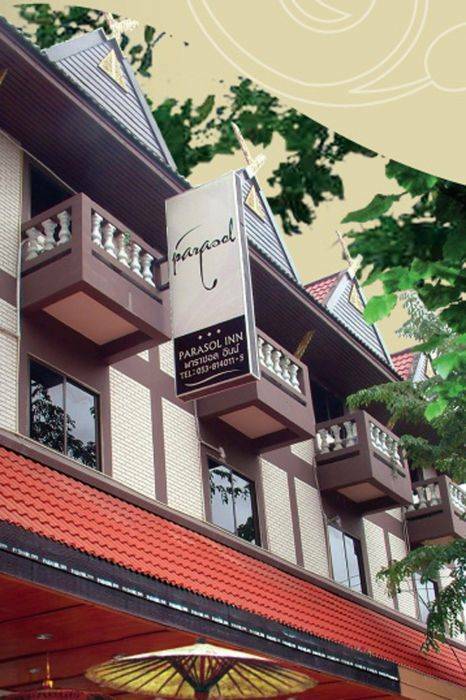 Parasol Inn is designed base on perception of Boutique Lanna Style situated right at the heart of city center and nearest access to Sunday Walking Street. 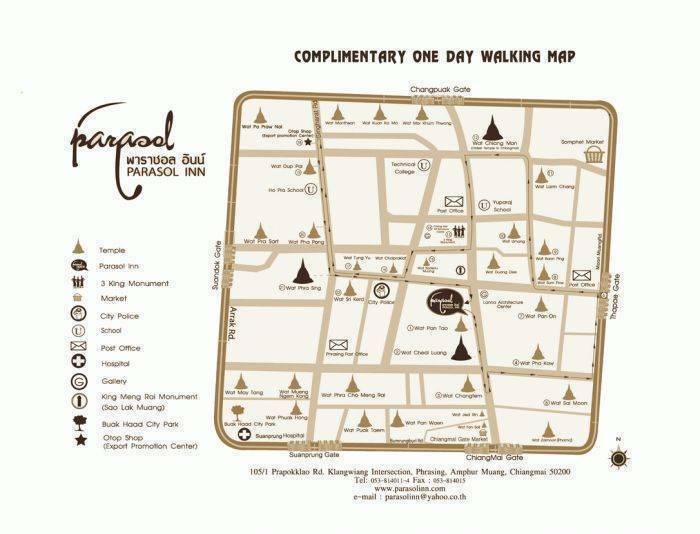 Parasol Inn consists of 23 rooms in 3 types. 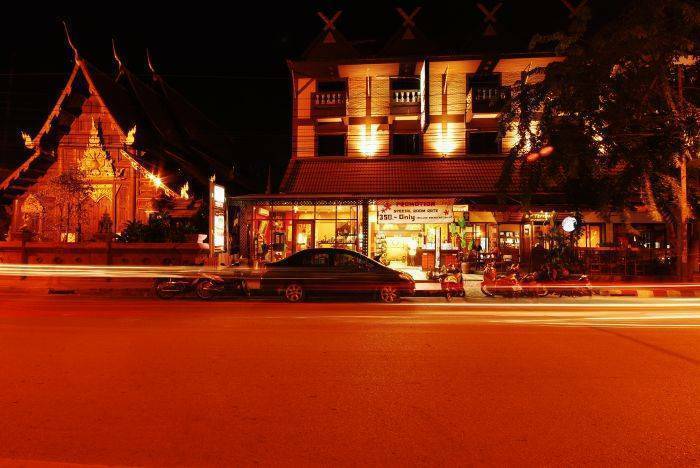 Each room offers a blend of fine art of Chiangmai historic atmosphere such as "Doisuthep Temple", "Doiinthanon Natural Park" and other cultural arts of Chiangmai. All our comfortable rooms provide all amenities including free wireless access. 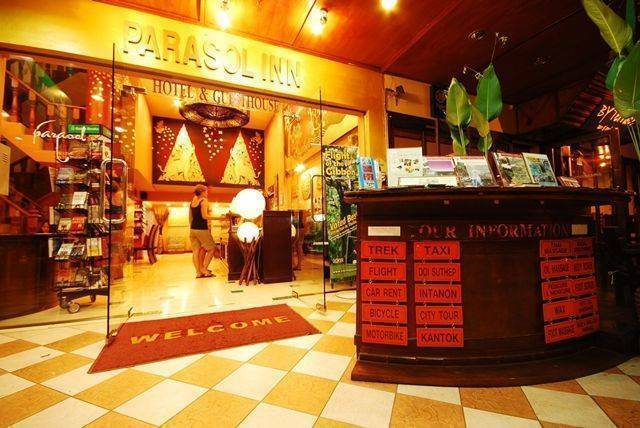 Parasol inn is on the spot of important tourists attractions such as "Watprasing", "Watchediluang", "Three King Monuments","Thapae Gate", Museams and many more. Our goals is to meet all needs of our guests. Enjoy your precious holidays with our concept of “Service by heart, Welcome with smile". 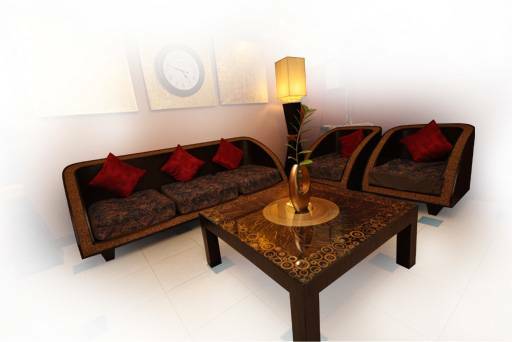 Minibar, Refridgerator, Cable TV 50 channel, Complimentary Wi-Fi Internet for whole stay. Amenities in all rooms provides Free Wireless Internet, Individual Control Air-condition, Cable TV Channels, Hot-Cold Shower, Fully Stocked Refrigerator, Mini-bar, Desk-Chair, Hair Dryer, Coffer Kettle to ensure comfort of your stay. Surcharge for holidays 300 baht. 5 minutes walk from Tha Pae Gate.